Showing your thanks and appreciation for someone is always a great gesture. 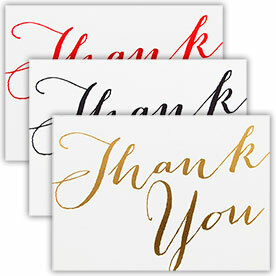 With these Thank You Cards, you'll be able to show that you're grateful but at the same time show your beautiful sense of style too. 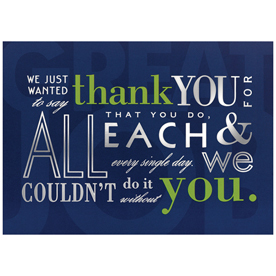 Our cards come in sets of 100, 25, or 8 perfect for whatever occasion and however many people you'd like to thank. 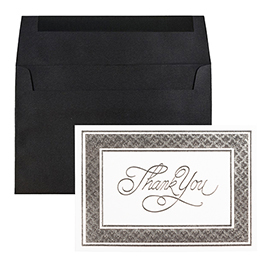 All come with matching envelopes, making it easy to appreciate and send off quickly. 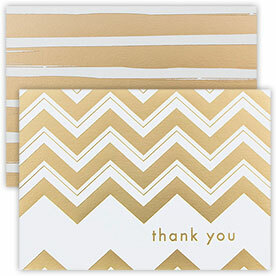 As you pick a certain design that speaks to you, you'll find some of our thank you sets come in variations of envelope linings. 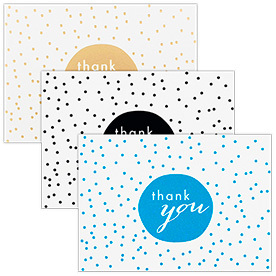 From solid colors like pink or white to beautiful designs like paisley or tapestry, you'll find one that matches the kind of thank you that you want to send. Whether you're sending a thank you for your wedding, birthday, or "a just because" occasion, our designs will fit any time of year. Try our Girl & Boy Thank You Sets for a design to make anyone smile bright. Or go formal and try our Silver Pinstripes Thank You Set. 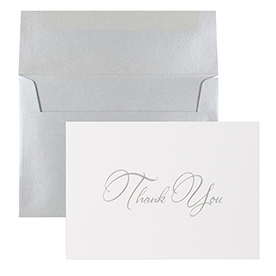 The beautiful thank you in script will separate your elegance from the rest. 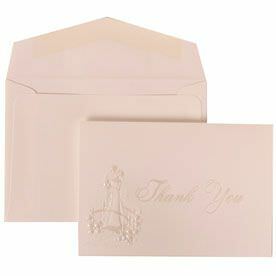 Or go for our Blank Thank You Card Sets to write your own message inside all the while keeping the cover regal and pristine. Or go for a family thank you with our "We Thank You" message. So say thanks this year with some extra class and start shopping now.